Description The game is inspired by the classics to offer a modern version of the game obstacle course. The player controls a high-speed rescue spacecraft and must pay attention to the debris on his way but also to the energy of the ship, which is maintained by recovering crystals. But it's nothing for the fastest ship in the galaxy! The ship carrying the crystals was attacked by pirates. The crew abandoned the ship and are now scattered in the void. The player responds to this distress call and goes on an adventure through the seven quadrants of the Void. 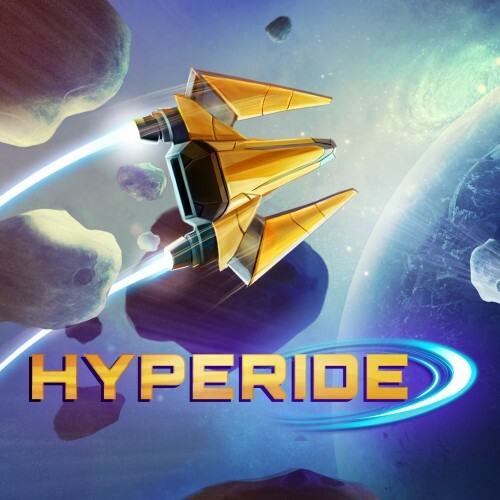 Hyperide offers a unique opportunity to travel at a superluminal speed, to jump through wormholes to discover the confines of the universe. The player should not forget that his main mission is rescue, so he will, in addition to paying attention to the debris, shoot enemy ships and rescue astronauts in distress in space.